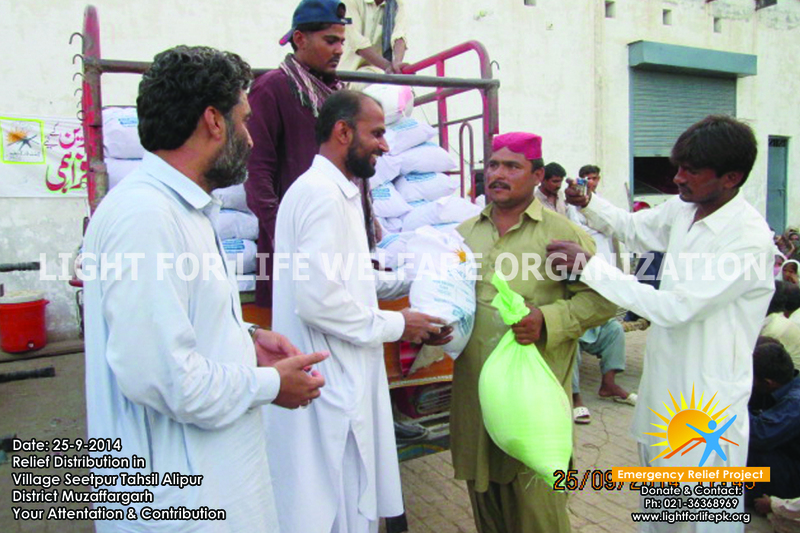 The recent floods especially in areas of Punjab and some of NWFP have wrecked havoc and stranded tens of thousands of fellow Pakistanis rendering a huge percentage of them homeless after torrential rains this monsoon. 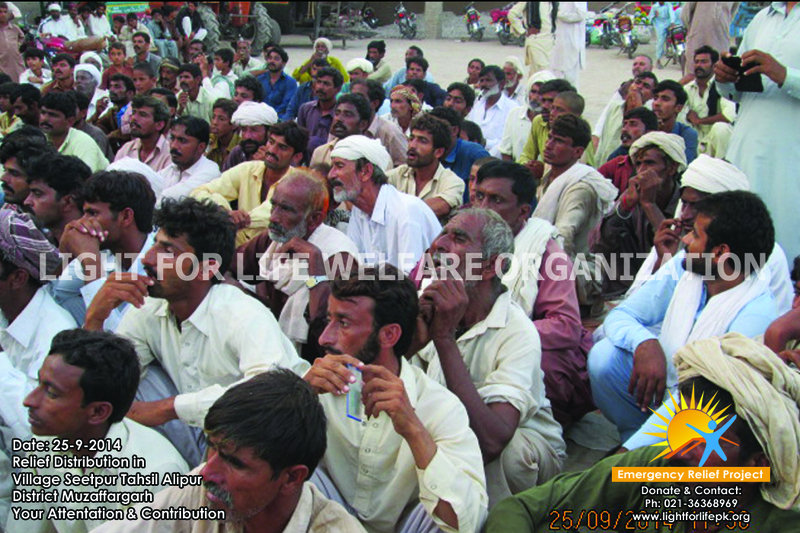 The loss of livestock and property besides loss of precious human lives makes the tragedy even gloomier. 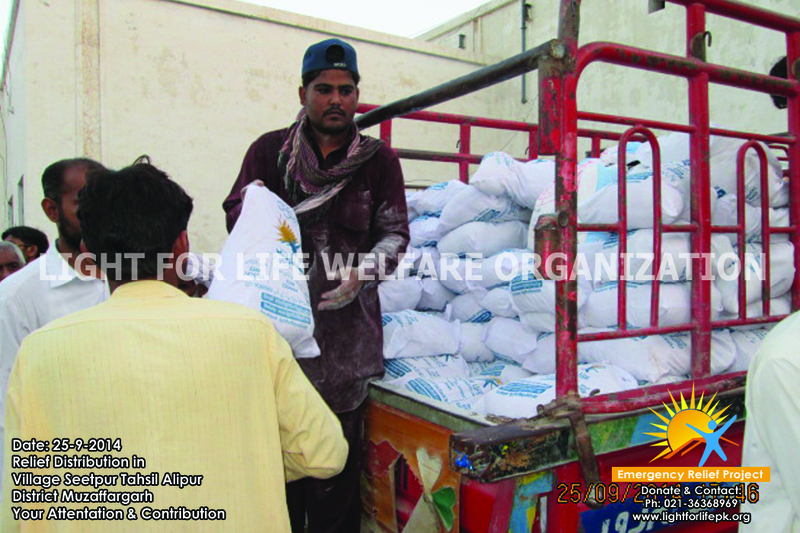 In this hour of need citizen of Pakistan has stood shoulder to shoulder with the nation and effective work is being carried out in different areas. 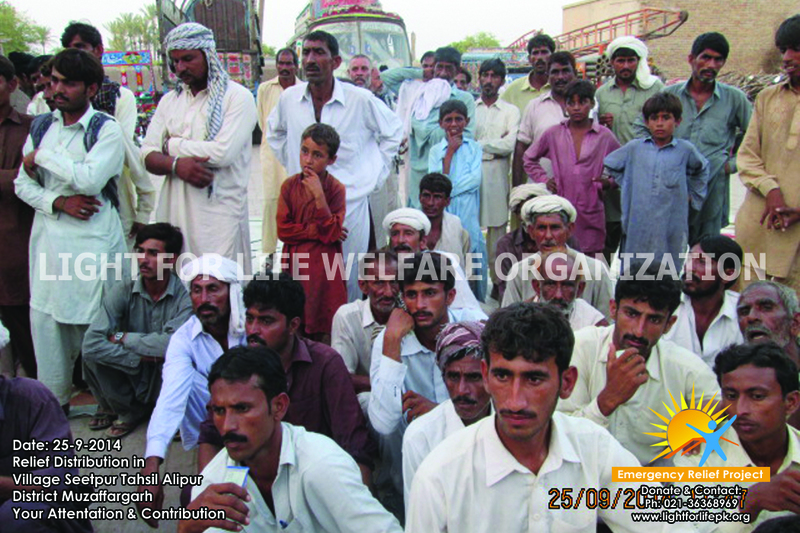 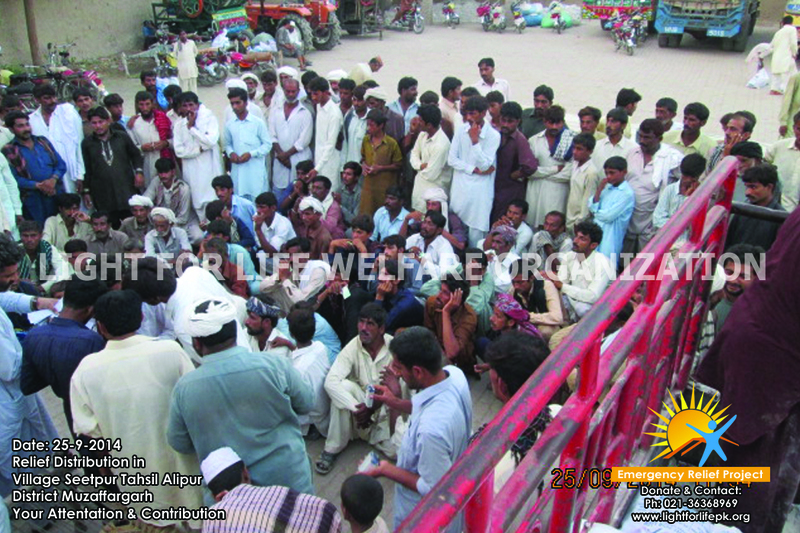 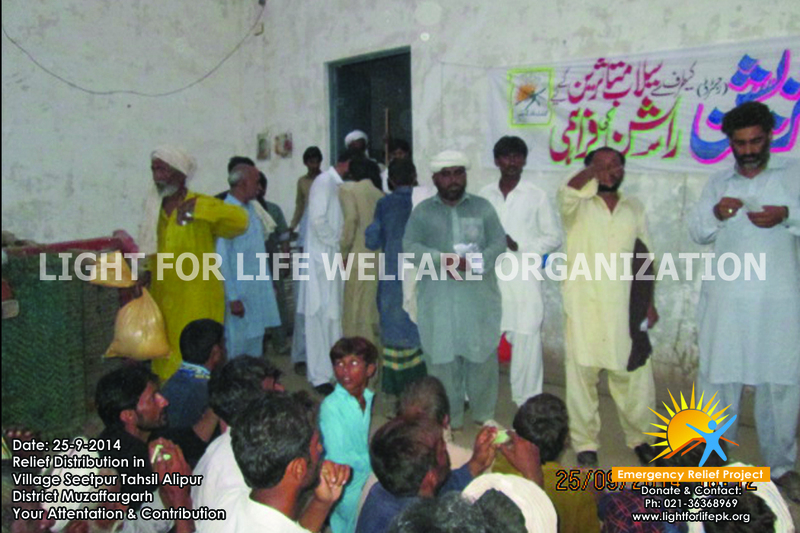 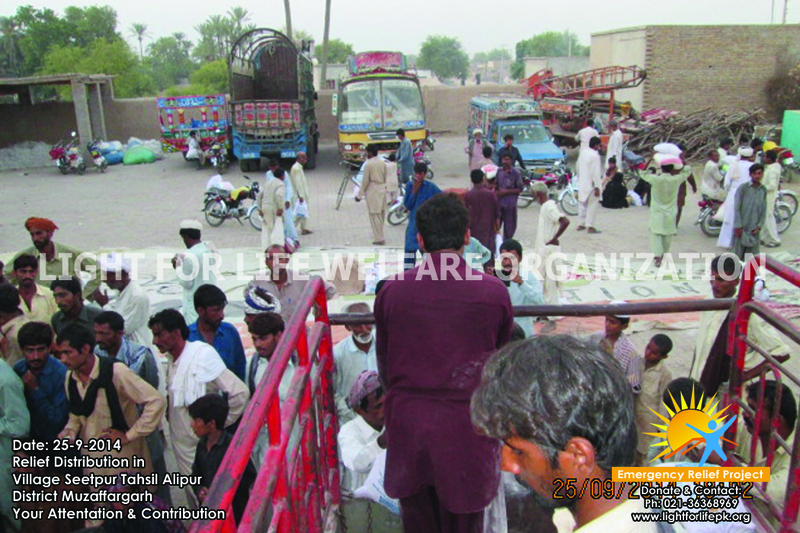 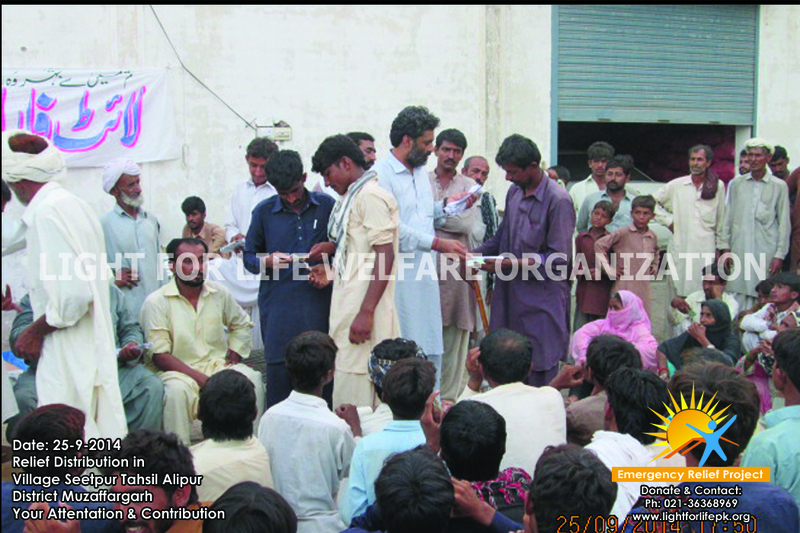 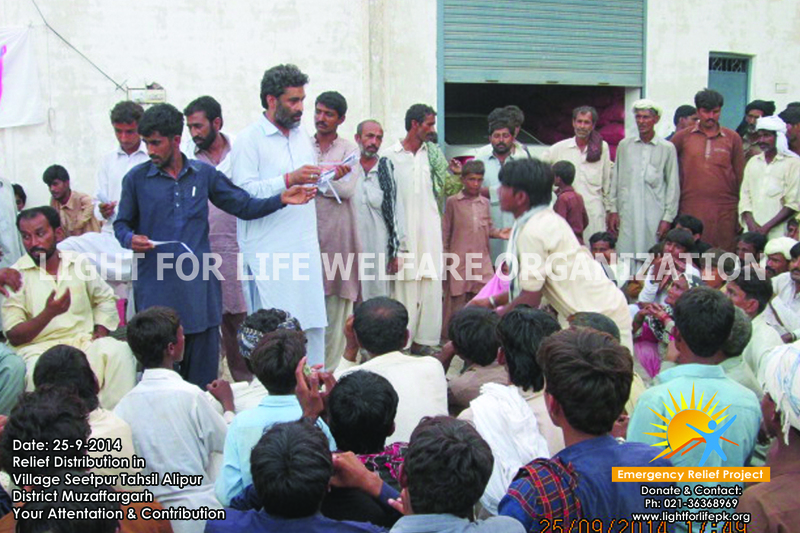 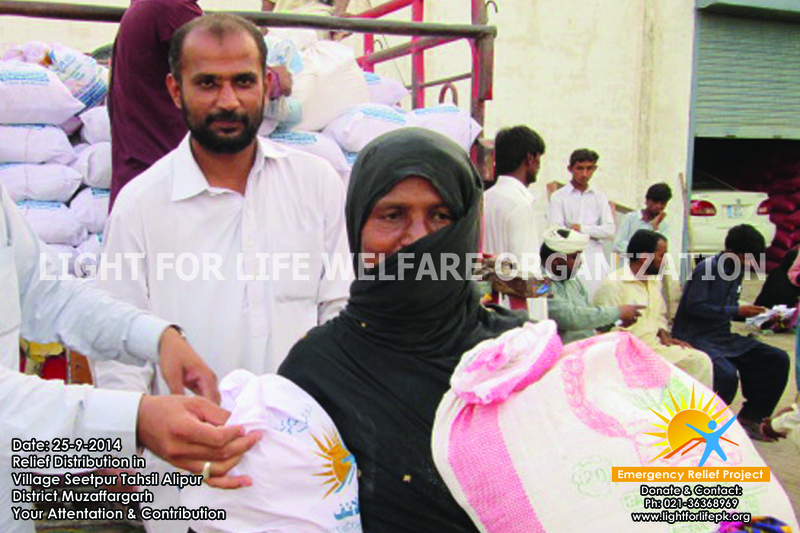 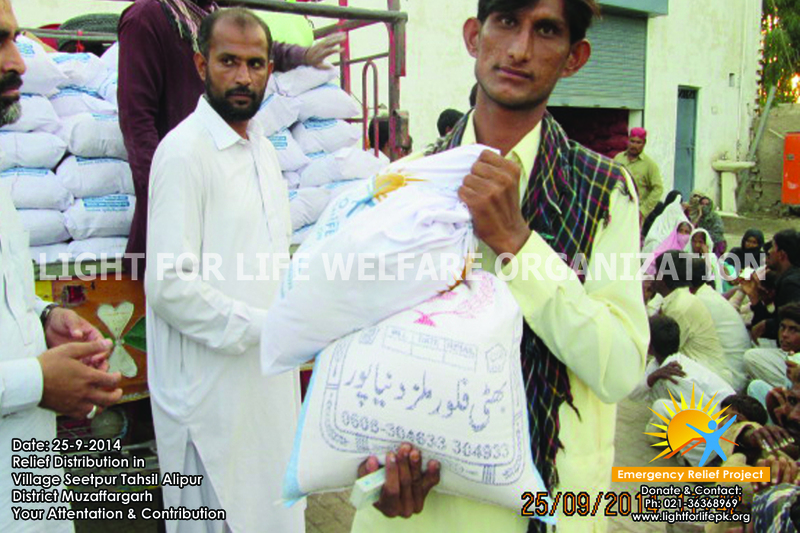 Light for Life welfare organization announces relief activities for flood victims. 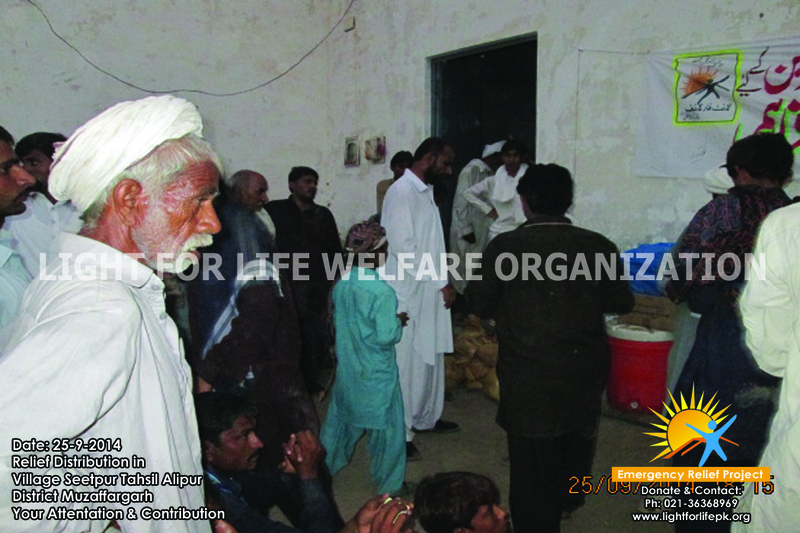 In the initial stages, strategy is being worked out to extend financial support to the affectees for their rationing expenses and meeting their day to day needs. 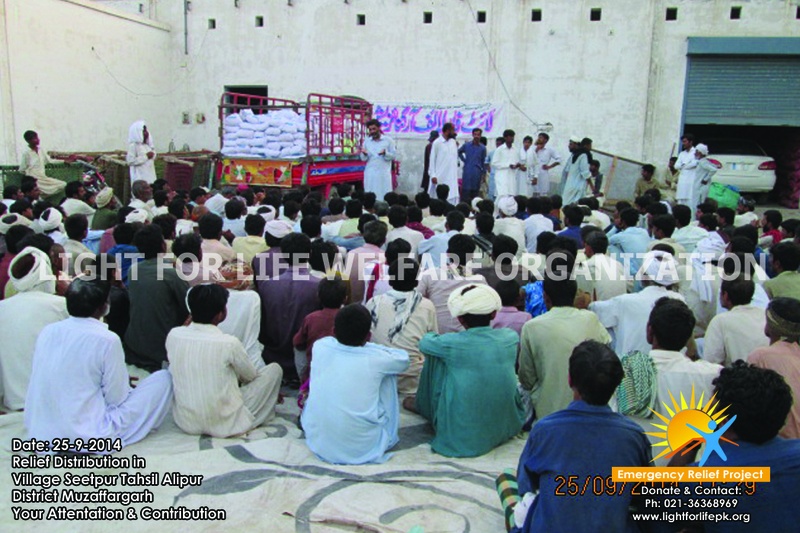 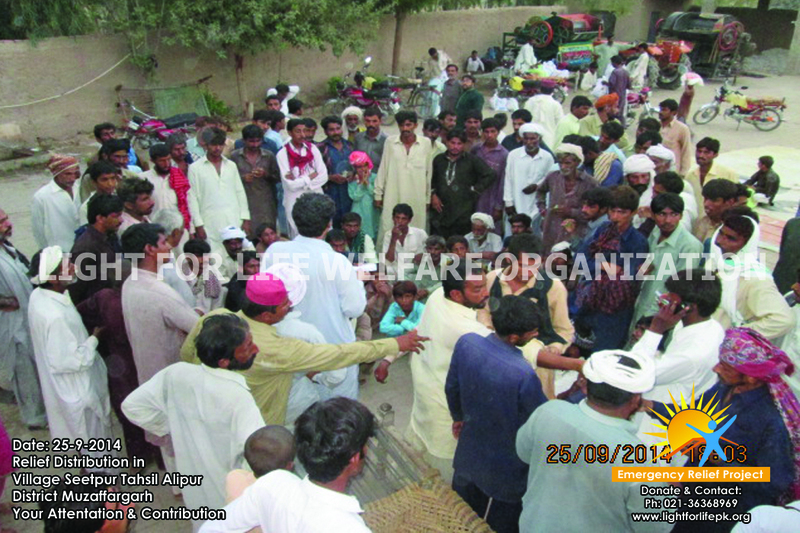 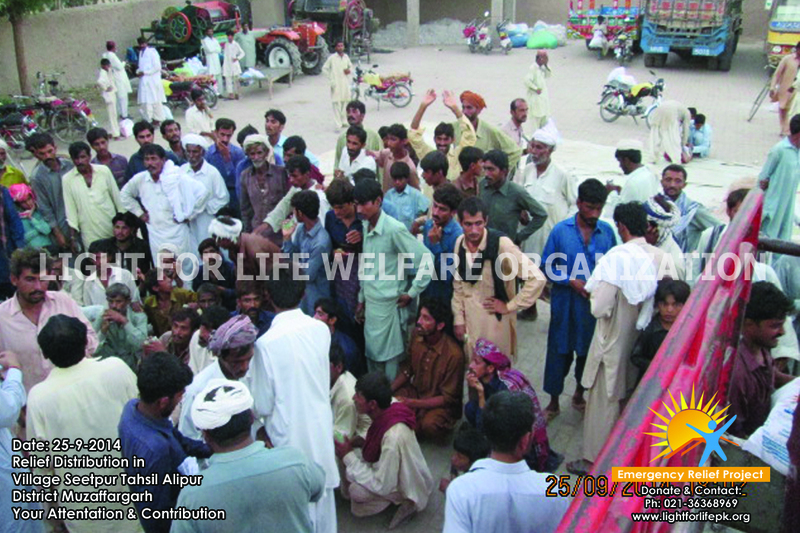 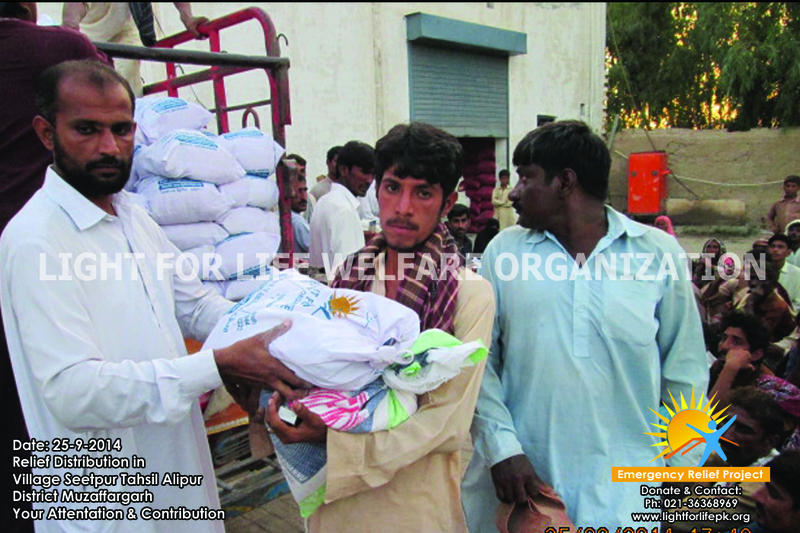 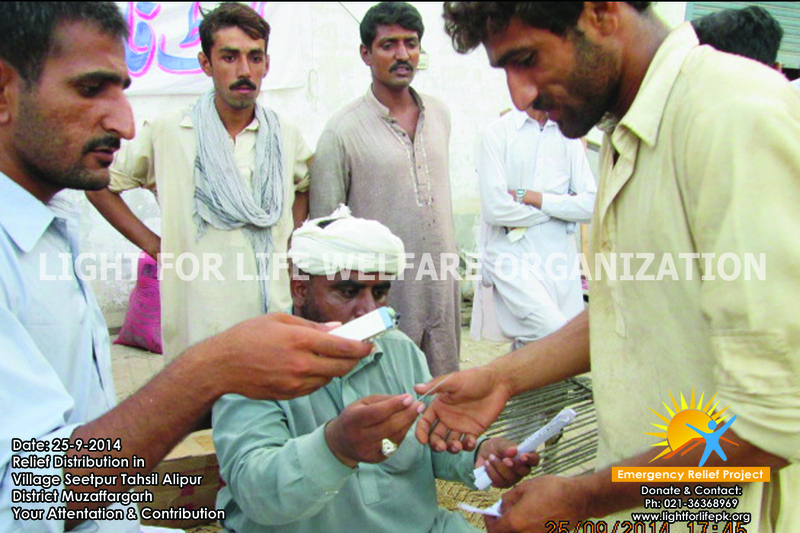 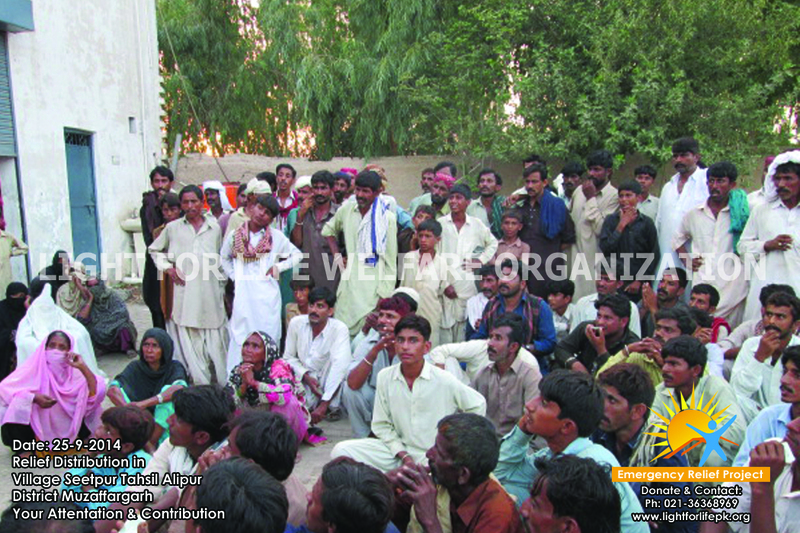 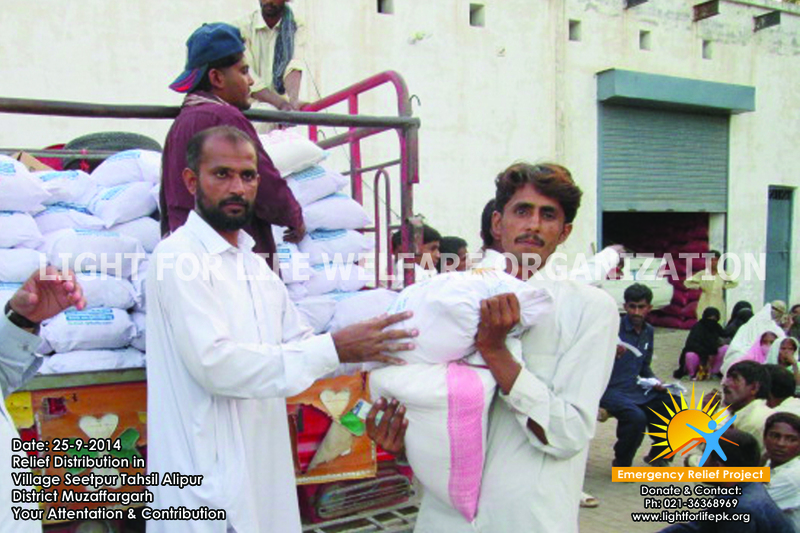 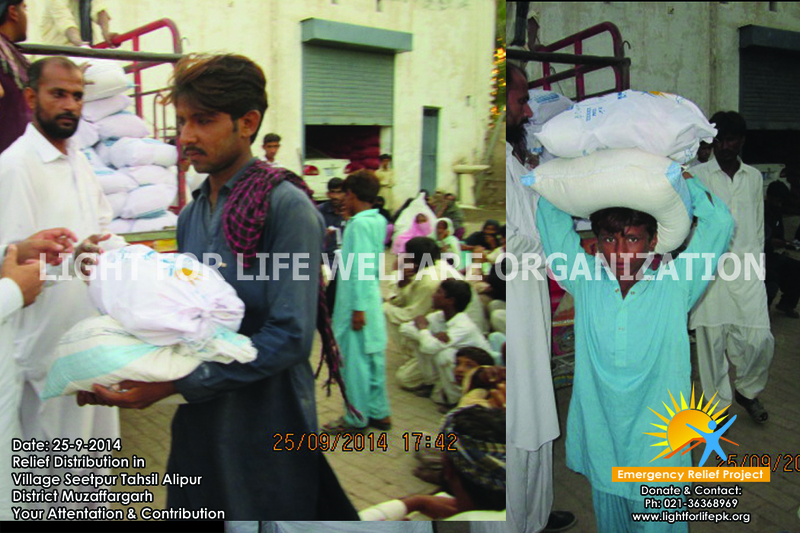 For that on 25th September 2014 LFL worker distributed about 350 Relief Bags in Village Seetput, Tahsil Alipur, District Muzaffargarh. 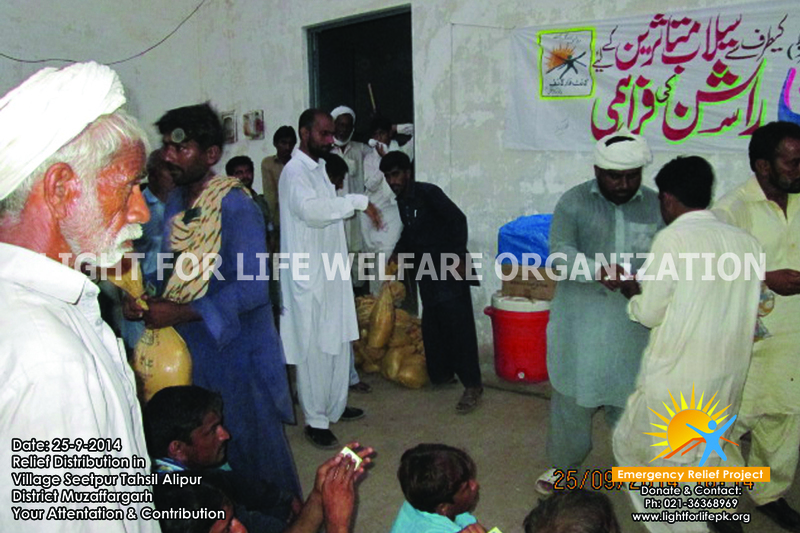 These bags included: Floor, Rice, Sugar, Oil, Match, Masalay, Tea, Soap etc. 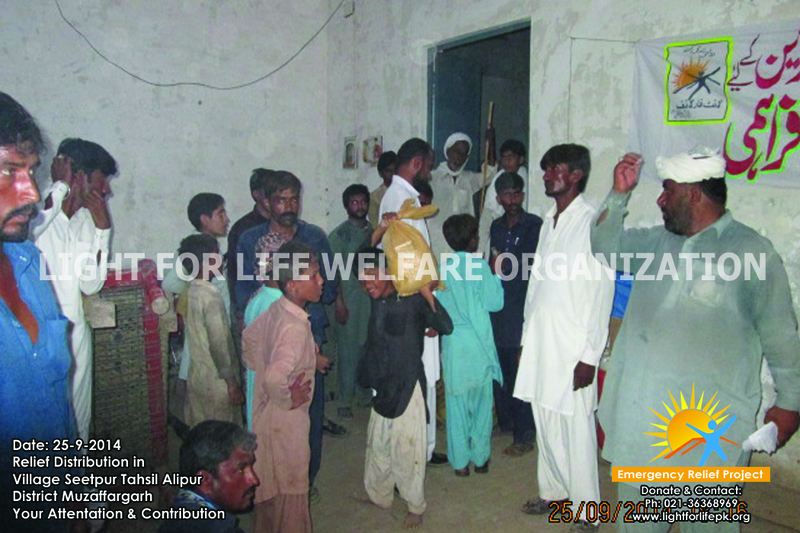 As part of their flood relief activities LFL team is surveying different flood effected area to cater the needs of people in need on ground. 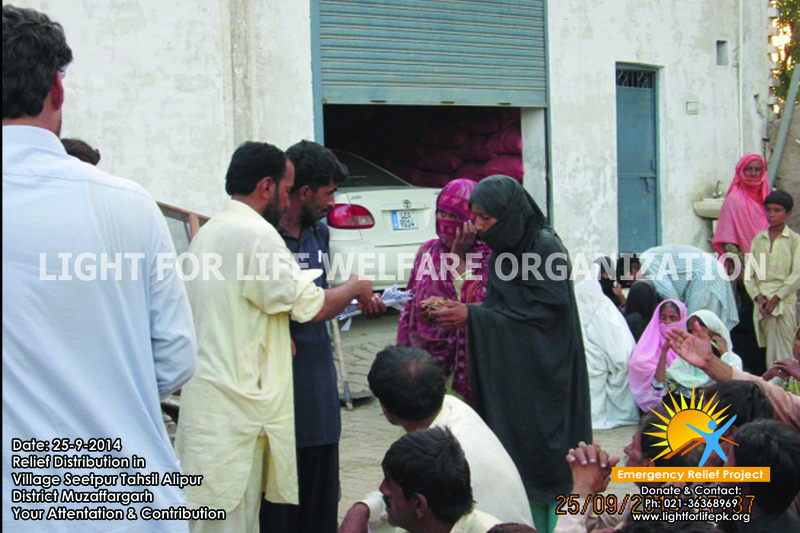 At some later LFL will be rebuilding home that were distroyed by flood. 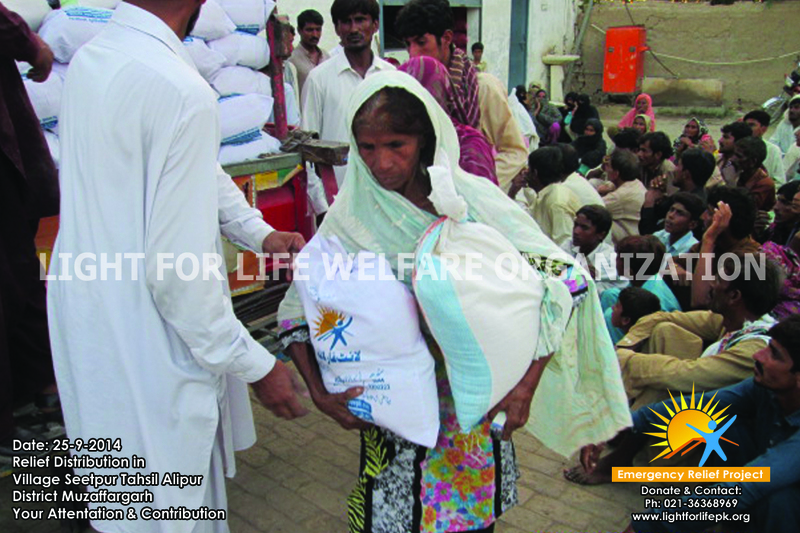 The contact points to collect donations and goods for this purpose are being produced. 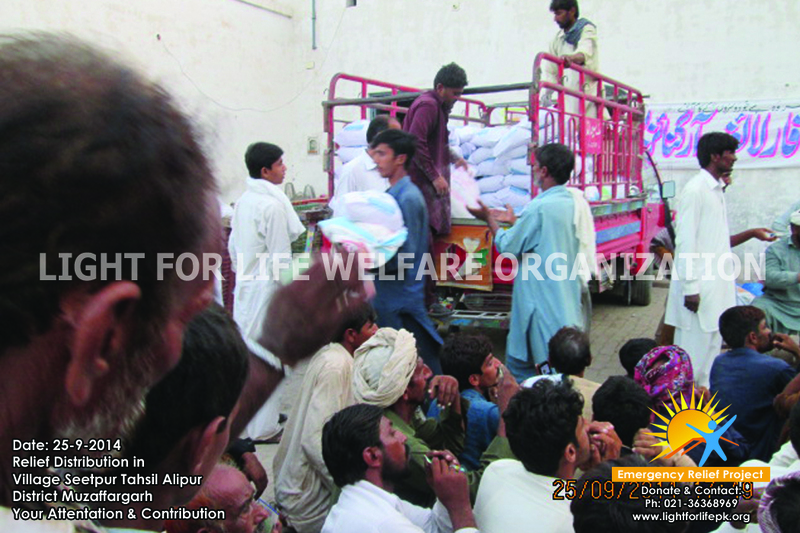 Please spread the word far and wide! 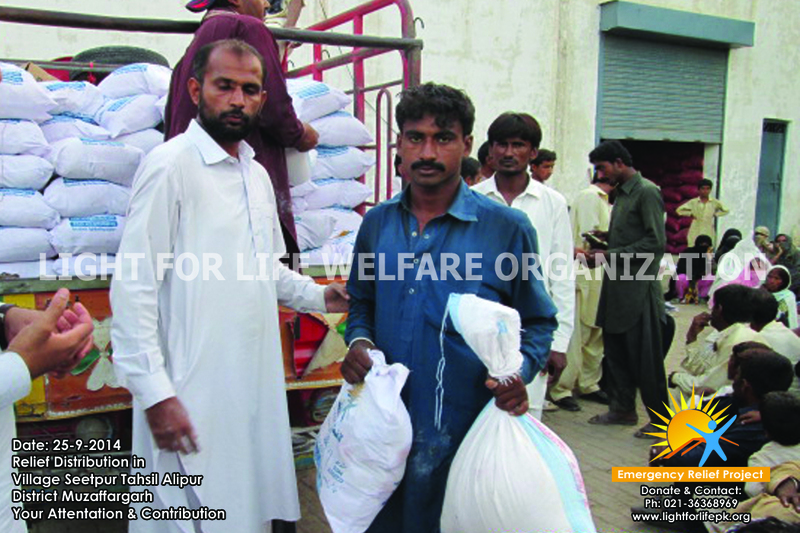 Address: R 1130 Block 20 F.B.Area Karachi.